Having met Sheila Roberts on several occasions, I can assure you that she is just as caring, funny, and genuine as the heartwarming novels she writes. 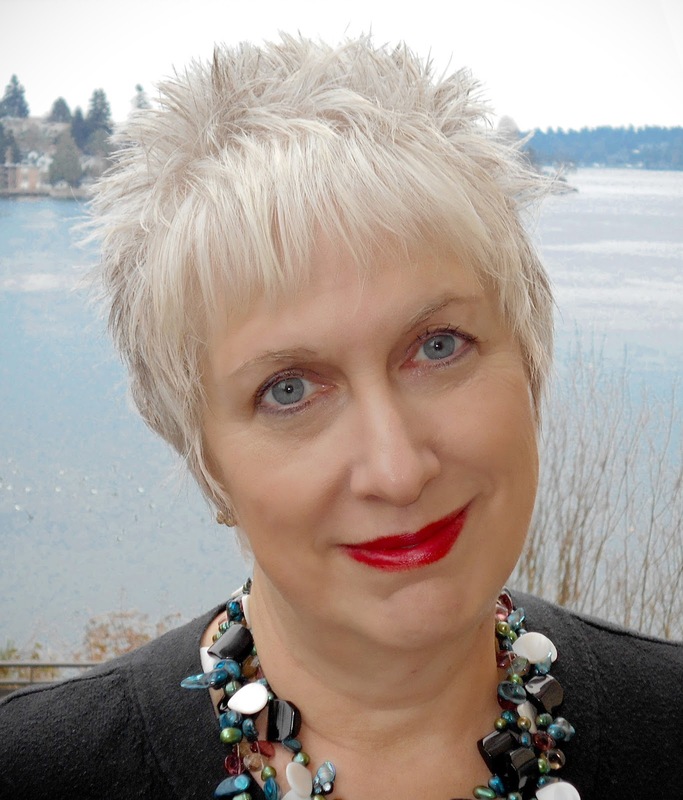 A happily married mother of three, Sheila lives on a lake in the Pacific Northwest. She’s been writing since 1989, but former careers include owning a singing telegram company and playing in a band. Her band days are over, but she still enjoys writing songs. Sheila's books are best sellers and often appear as Reader's Digest Condensed Books. Her novel "Angel Lane" was named one of Amazon's top ten romances in 2009. Her novel "On Strike for Christmas" was a Lifetime Network movie and her novel "The Nine Lives of Christmas" was made into a movie for the Hallmark channel. When she’s not speaking to women’s groups or at conferences or hanging out with her girlfriends she can be found writing about those things near and dear to women’s hearts: family, friends, and chocolate. Readers can discover more about Sheila and her books at her website and connect with her online at Facebook and Twitter. While many of us moan when we see Christmas decorations and wrapping paper crowding the store shelves before we’ve trick-or-treated or done the turkey deed, Sheila Roberts says, bring it on, the earlier the better! 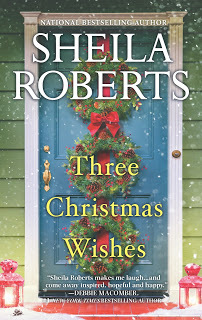 In fact, the prolific author of the fun October 18 novel, THREE CHRISTMAS WISHES, begins her Christmas shopping in January and gets great joy out of planning ahead so she isn’t so stressed over the holidays. Before the holidays are in full swing, as early as right now, schedule a “lists” night. Make a list of all the things you need and want to do for the holidays and schedule ahead. A tip: break big tasks into smaller ones, giving yourself little things to do over several nights. Mark off some “silent nights”—times when you won’t make any plans. Reserve those nights for staying home and regrouping as a family, maybe watching a Christmas movie together. Let those times also be ones of rest for you, with a bubble bath on the agenda or an evening by the fire or curled up in your favorite reading spot with a book. Stepping out of the hectic race for a few moments will help you keep your strength up for the long haul, and the best way to make sure you get some time off is to schedule it in ahead of time. Then, stay strong and master the art of saying no. 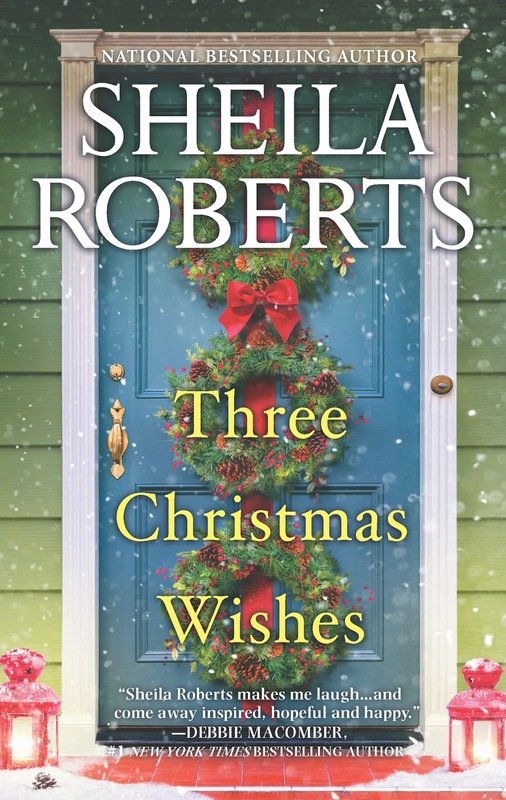 Ironically, in Sheila’s THREE CHRISTMAS WISHES it isn’t advance planning that makes one outing particularly fun and memorable for three friends. On a lark, the three women, all wanting in the romance department, visit a mall Santa and share their most ardent wish. And, boy, does Santa deliver but in ways they would never have imagined! Later they learn they’re the only ones who can recall seeing this particular Santa in the mall—or anywhere. They’re beginning to wonder if he could possibly be . . . the real St. Nick! Did a holiday mishap or disaster ever create a treasured, fun memory for you and your family? Oh, yes. One of the crazy memories was when the kids were small. We were leaving my brother’s on Christmas Eve and discovered our car was stuck in second gear. Twenty-five miles of back roads. A horse and buggy could have beaten us. We got home in the wee hours. It was the only Christmas our kids ever slept in. Among your treasured Christmas decorations, what are the most meaningful for you? Which ones give you special joy when you unwrap them each year? I have a couple. One is a cute Santa face made from Styrofoam that my mother made back in the ‘50s. I bring that out every year and love it. I also have a framed poster from my all-time favorite movie, “It’s a Wonderful Life” that my big brother gave me. That always gets hung in a special place. What is the favorite gift you’ve ever given? Actually, that favorite gift is coming up this year. I inherited a darling little granddaughter when my son married, and this year she’s getting the china tea set that was mine as a child. We’ll be visiting them right after Christmas, and I’m hoping she and I can have a tea party. Readers are always fascinated by how authors’ minds work. For you, one question could obviously relate to how prolific you are with Christmas stories. Each year you write a Christmas story, and two have become made-for-TV movies. Do ideas for these stories pop into your mind during or after the holidays? 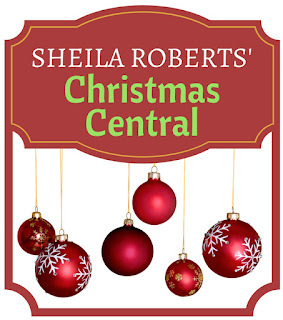 Are there any special meals or foods you serve during the holidays, besides the cookies in your recipe section on Sheila Roberts’ Christmas Central? Having shared many fun Christmases with your family, what advice would you give to young parents today as they set out to make Christmas special for their families? Now is the time to make those memories. Take a drive one night and look at Christmas lights, bake cookies together, go caroling around the neighborhood. Let some of the chores and obligations slide—they’ll get done eventually—and focus on that time together. In the end, that’s the best Christmas present you’ll ever get. Thank you, Sheila! I love your year-round Christmas spirit! Readers, what traditions have you implemented to make Christmas special for you, your friends, or your family? When three friends visit a shopping-mall Santa on a lark, the jolly old elf is full of mysterious predictions about the thing they're all wishing for: the perfect man. Or at least men who are perfect for them. Riley Erickson's fiancé turned out to be a dud, dumping her for her bridesmaid three weeks before the wedding. But Santa says that she's soon going to meet her ideal man in a memorable way. And he predicts that a new man is about to come into Jo's life. What on earth does that mean? She's pregnant and already has her hands full with the perfectly stubborn husband she's got. Noel has given up completely on ever finding her perfect match. But apparently Noel is going to get a good man to go with that house she's trying desperately to buy. These friends are about to discover that Christmas wishes can come true, because in spite of romantic setbacks and derailed dreams, this truly is the most wonderful time of the year! Three Christmas Wishes should also be a hallmark movie! A fun, yet thought provoking book, one you must read. Hi Sheila! I love how you embody the Christmas spirit throughout the year. For as long as I can remember, my friends and family have teased me about my Christmas Elf tendencies. I fully embrace the spirit of the holiday and love sharing with friends and neighbors. One of my traditions is my annual Candy Day. It's a full day of festive cookie and candy making with a group of friends that kicks off the season with laughter and fun and sends each person home with some of everything made (dozens of cookies and usually 30 - 50 pounds of chocolates) along with a cookbook (made by me) of all that year's recipes. I grew up with a fake tree. In an apartment there isn't a lot of storage so we bought a tree for our first Christmas. Ever since we have continued that tradition. As the kids got older, their friends would want to come with us. Their families had artificial trees and thought it was a blast. We would make hot chocolate and popcorn. Good times. We always read A Visit from St. Nicholas on Christmas Eve, a tradition carried over from my childhood. I don't know why I haven't read Sheila's books yet - I'll have to find some of them. I'm also wondering how I never read one myself. I'm definitely going to start. I love Christmas. Our tradtions are reading a Christmas story and now it's the grandkids sas well as my kids. Decorating every place imaginable , Christmas eve mass and baking with all the girls on a weekend right after Thanksgiving. We're kinda working on new traditions... spent years going home to family that have now passed. We're really small in numbers and so we're reaching out to others to share with ys.